Malawi’s sole netball export Mwawi Kumwenda’s will not join the Queens for training camp ahead of England international series this month unless the Netball Association of Malawi (NAM) creates “a conducive environment” for her effective participation, she is not ready to return for national duty. Mwawi’s cousin Hlupikire Chalamba, who acts as her manager and legal adviser, told Nyasa Times on Thursday evening that the netball star is “always excited and committed to represent Malawi and play with the Queens” but wants NAM to clear circumstances that led to her being expelled from the Queens camp ahead of the Fast5 World Netball series for late arrival in camp. The shooter’s absence was heavily felt as evidenced by the team’s poor results. Chalamba said unless NAM address the concerns that led to her being dropped, Mwawi will not return to the Queens. “I have advised her to wait until we have a better understanding of what transpired during the last call up which led to her expulsion from camp,” Chalamba said. She said the gangly goal shooter (GS) expulsion was dubious as she provided reasons beforehand for reporting late. Chalamba said if NAM found her reasons to have been unacceptable, then they would have accorded her a chance to be “properly, fairly and impartially” heard before enforcing a decision to expel her. “The fact that the coach himself [Samuel Kanyenda] was even surprised and against Mwawi’s expulsion raises even more deep concerns, because the coach himself (being part of the technical committee) should ordinarily have been the one to exercise such disciplinary oversight of his players,” Chalamba said, who has communicated the message to NAM in a letter. “It therefore becomes worrying as to whether there may be other factors that resulted in such an arbitrary decision from NAM. In addition, the manner in which the decision was undertaken only served to further ridicule and stigmatize Mwawi. “Specifically, NAM opted to publicly denounce Mwawi in front of her teammates and demanded her removal from camp. This is in spite of the fact that Mwawi had been earlier welcomed by the coach and had already commenced training with her teammates,” reads Chalamba’s letter which its authenticity has been verified with her. “Throughout these twist of events, Mwawi and myself have nonetheless respected your decision, and we remained optimistic that we would have a two-way discussion surrounding this issue. To date, we have received nothing except your current call for camp reporting on Sunday, 12th November, 2017 and processing of UK Visa on Friday, 10th November, 2017. It is not currently clear whether the expulsion from the camp constituted a disciplinary action or Mwawi is yet to undergo formal disciplinary action,” further reafds the letter to NAM. Chalamba said she need “firm assurance” that the best interests of Mwawi and the Queens are well safeguarded by NAM before she retunrs to the national team’s fold. However, NAM general secretary Carol Bapu yesterday expressed surprise at the manager’s stance. Malawi team is scheduled to go into camp in Blantyre on November 12 ahead of the test series that will take place between November 24 and 29 in England. The full squad is as follows: Defenders: Joanna Kachilika (C), Caroline Ngwira, Laureen Ngwira, Martha Dambo, Wezzie Mzemba, Fanny Mwale, Juliet Sambo; Attackers: Takondwa Lwazi, Thandie Galeta, Shira Dimba, Pilirani Msukwa, Rose Mkanda; Shooters: Jane Chimaliro (VC), Joyce Mvula, Jessie Sanudi, Alinafe Kamwala and Grace Chazungulira. I 100% in support of Mwai.Let the NAM n the coach play the ball. You are treating Mwawi like that because she comes from the north, a DPP regionalism ndi mpira omwe. if the couch dont know who expelled Mwawi then some politics is going on the Netball team will go together with the DPP and Peter Mutharika plus Chaponda already gone. 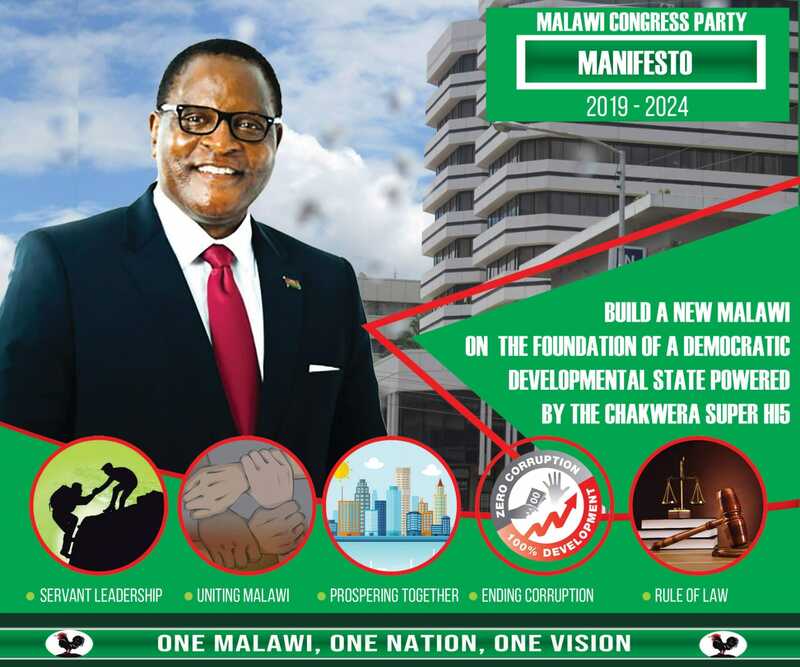 Wake up Malawi, Wake up DPP.